An icon of the Southern Appalachian region known for the seminal books Camping and Woodcraft (1906) and Our Southern Highlanders (1913), Horace Kephart was instrumental in efforts to establish the Appalachian Trail along the Tennessee-North Carolina border. But Kephart is perhaps best known for his decade-long crusade to help protect the Smokies as a national park. 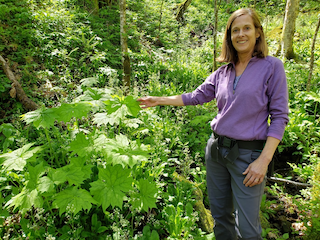 For Kephart, this campaign represented a personal commitment: “I owe my life to these mountains and I want them preserved so that others may profit from them,” he wrote. 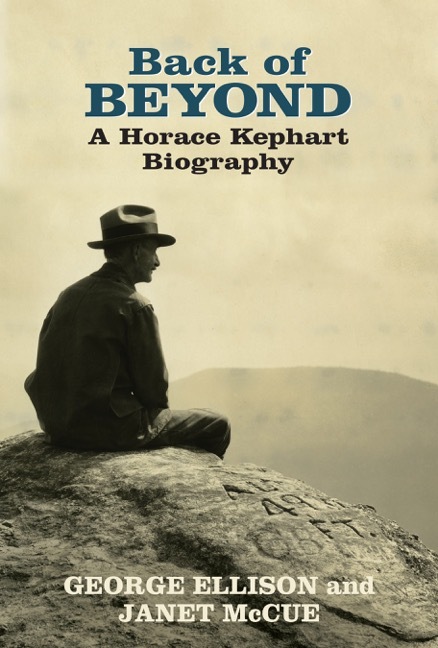 The culmination of decades of tireless research and devoted scholarship, Back of Beyond: A Horace Kephart Biography is the compelling story of this librarian-turned-woodsman who had a far-reaching effect on wilderness literature and outdoor pursuits throughout North America. Kephart’s advocacy for the establishment of Great Smoky Mountains National Park earned him the title Apostle of the Smokies. 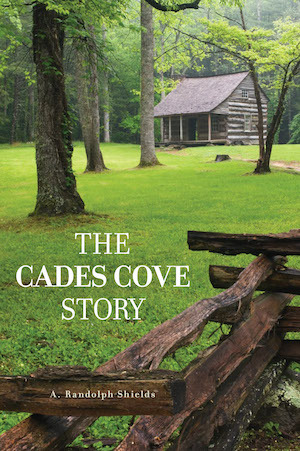 But it is his enigmatic charisma and multifaceted backstory that will draw readers in and hold them spellbound when they pick up this new title by co-authors George Ellison and Janet McCue published by Great Smoky Mountains Association, a nonprofit with a mission of support for the national park. Born in Pennsylvania in 1862 and raised in Iowa, Kephart went from graduate studies at Cornell University to a promising career as a librarian at Yale University and a director of the St. Louis Mercantile Library. With six children and a beautiful wife, Kephart seemingly had it all. Until he didn’t. In Back of Beyond, Ellison and McCue reveal Kephart’s fall from grace, the depths of his despair, his complicated private life, and his fortitude in forging a new existence in the Great Smoky Mountains. 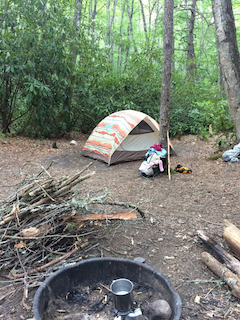 They do this through in-depth historical research and an exploration of Kephart’s own major writings on frontier history, camping and woodcraft, and the lives of his neighbors on Hazel Creek, his personal back of beyond in the Smokies. 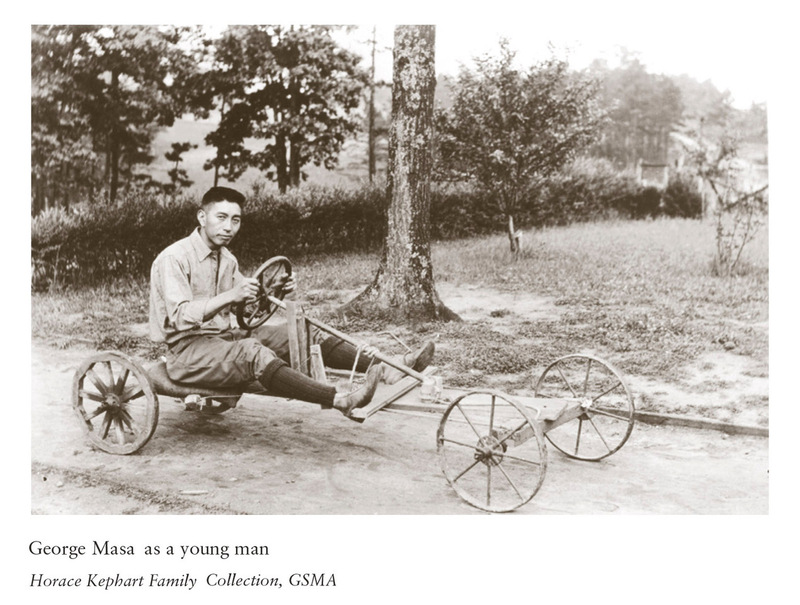 “As it should, the biography provides for the first time an understanding of Horace Kephart’s entire life—not just random bits and pieces such as those often heard in conversation, many of which are anecdotal or outright fabrications,” said Ellison, a writer-naturalist who has lived near Kephart’s eventual chosen hometown of Bryson City, N.C., since 1973. McCue and Ellison met at Kephart Days in Bryson City in 2009 and have since collaborated on several other Kephart publications, including the introduction to Great Smoky Mountains Association’s Camping and Woodcraft (2011) and the biographical chapter in the Horace Kephart Reader forthcoming from the University of Tennessee Press. 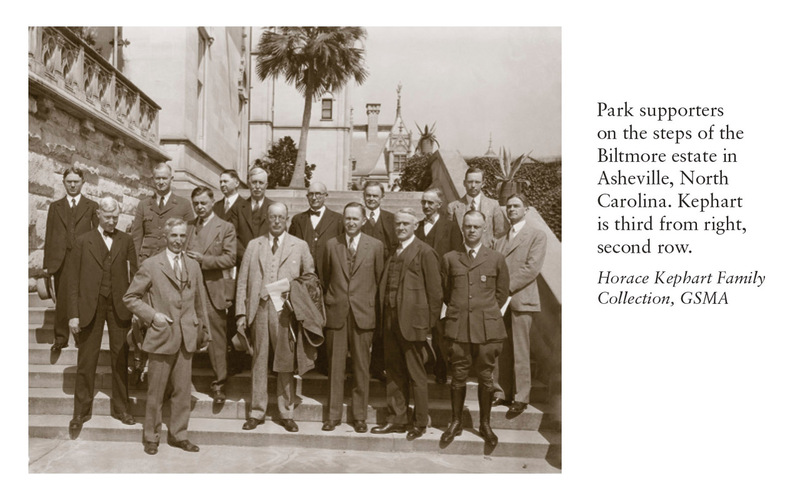 Back of Beyond’s 500-plus pages include more than 80 historic images from park archives, the Horace Kephart Family Collection and other sources. The co-authors began their research at Western Carolina University's Hunter Library, which houses the most extensive collection of Kephart material. Equally important, though, said McCue, are significant research collections at Brown University, Cornell University, University of Tennessee, McClung Library, Pack Memorial Library, and the St. Louis Mercantile Library. Even for two writers who had been chasing Kephart’s story for decades, Ellison admitted there were plenty of new discoveries and insights to uncover along the way. Ellison said it was difficult to fill in the “mostly blank period” when Kephart left Hazel Creek in 1907 and didn’t return to Bryson City until 1910. “The surprise for me is that Kephart lived in East Tennessee for a good while,” he said. 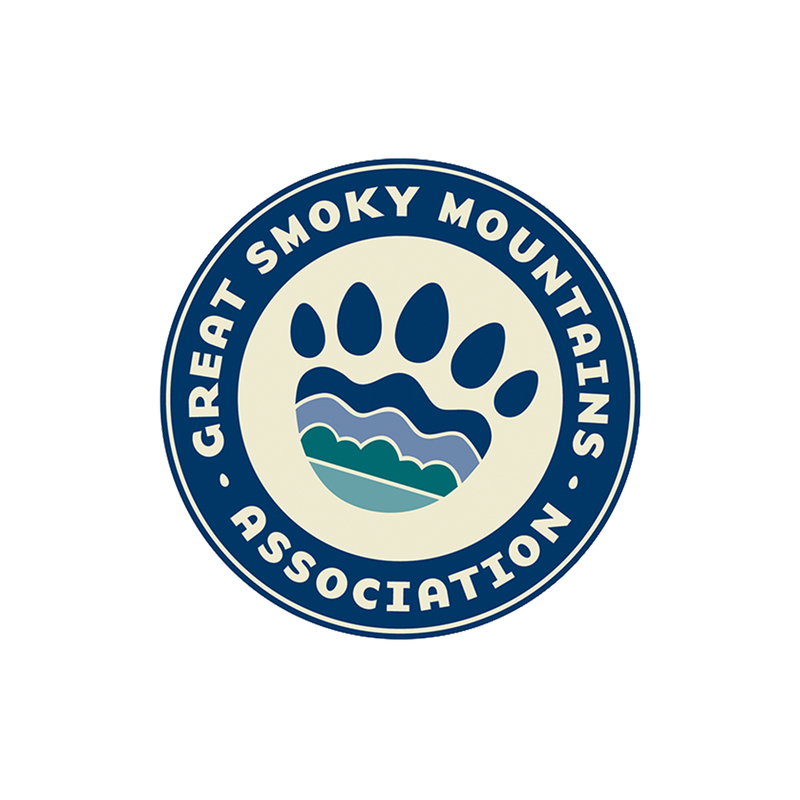 Great Smoky Mountains Association’s publications are designed to enhance greater public understanding, enjoyment and appreciation for the national park. A national park partner, GSMA has provided more than $44 million to support the park’s educational, scientific and historical programs since its inception 66 years ago. Support for the association is achieved primarily from sales of educational publications and from annual membership dues. Those who wish to enrich their national park experience are encouraged to become GSMA members.